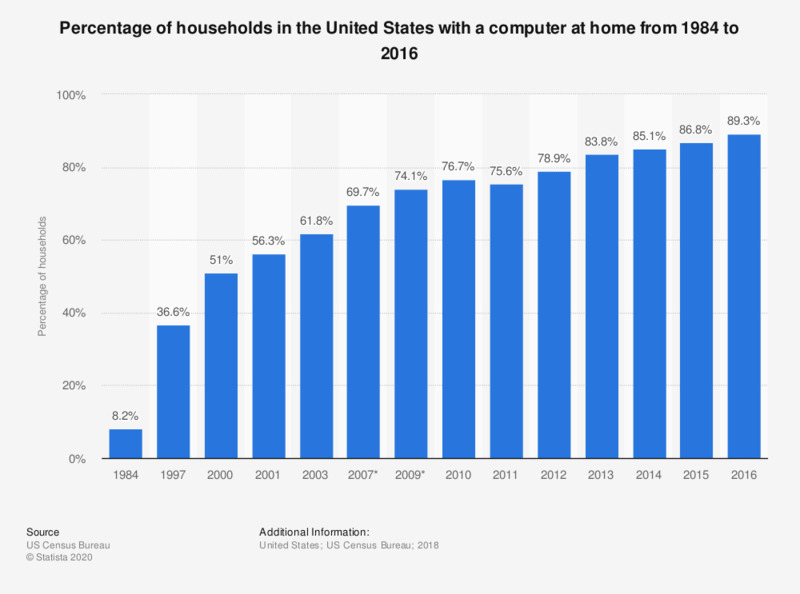 The statistic shows the percentage of U.S. households that have a computer from 1984 to 2016. In 2016, 89.3 percent of all households in the United States had a computer at home. * In 2007 and 2009 the Current Population Survey did not ask about computer ownership. The estimates presented here for those years reflect adjustments made based on the ratio of computer ownership to Internet access in 2003 and 2010.